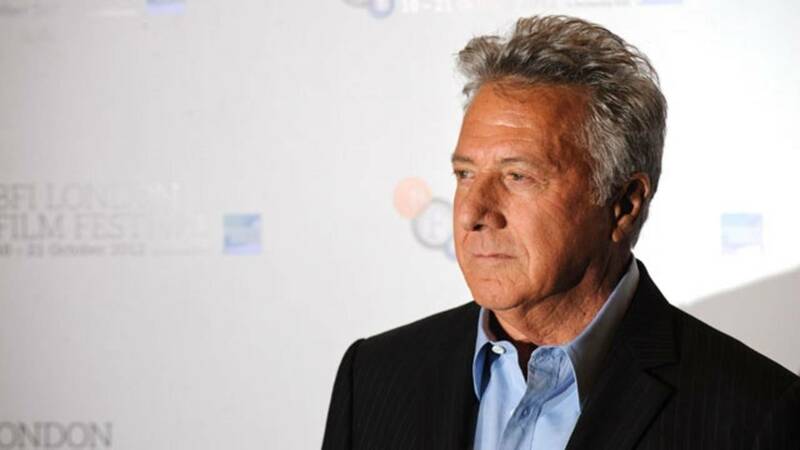 Anna Graham Hunter claims Dustin Hoffman made multiple inappropriate comments and unwanted sexual advances towards her when she was a 17-year-old production assistant on the set of "The Death of a Salesman" in 1985. (CNN) - Dustin Hoffman and "Last Week Tonight" host John Oliver got into a heated discussion Monday night when Oliver brought up recent allegations of sexual harassment against the actor. The exchange, which was captured on video by Washington Post reporter Steven Zeitchik, took place during a panel moderated by Oliver for a 20th anniversary screening of "Wag the Dog," which starred Hoffman. The poor quality video is edited, and only about six minutes of the one-hour panel discussion at the 92nd Street Y in New York City was posted online by the Post. Portions of the video are hard to understand due to the poor audio quality. The comedian host brought up the allegations in front of the panel's live audience. The Post reports that about halfway through the movie discussion, Oliver began to broach the subject. "This is something we're going to have to talk about because," Oliver said. "It's hanging in the air." Oliver was referring to recent allegations made by Anna Graham Hunter in an essay, which was published on November 1 by The Hollywood Reporter. In the column, she claims Hoffman, now 80, made multiple inappropriate comments and unwanted sexual advances toward her when she was a 17-year-old production assistant on the set of "The Death of a Salesman" in 1985. "It's hanging in the air?" Hoffman said. "From a few things you've read you've made an incredible assumption about me. You've made the case better than anyone else can. I'm guilty," he told Oliver. Weeks ago, Hoffman apologized for his alleged behavior and his statement was published in Hunter's essay. "I have the utmost respect for women and feel terrible that anything I might have done could have put her in an uncomfortable situation," Hoffman said at the time. "I am sorry. It is not reflective of who I am." On Monday, Hoffman duked it out with Oliver on the stage, where the actor was joined by his fellow "Wag the Dog" co-star Robert De Niro, producer Jane Rosenthal and director Barry Levinson. According to the Post, Hoffman said during the panel discussion that he has "never met" Graham. "I still don't know who this woman is," Hoffman said. "I never met her; if I met her it was in concert with other people." In the video, Oliver called out Hoffman's apology, saying he was angered by the actor's word choice. "'It's 'not reflective of who I am.' It's that kind of response to this stuff that pisses me off," Oliver said. "It is reflective of who you were. If it happened and you've given no evidence to show that it didn't [happen] then there was a period of time for a while when you were a creeper around women. So, it feels like a cop-out to say 'well this isn't me.' Do you understand how that feels like a dismissal?" Hoffman replied, "It's difficult to answer that question. You weren't there..."
Hoffman also questioned whether Oliver believes everything printed about what his accuser says happened. "Do you believe this stuff that you read?" Hoffman asked. "I believe what she wrote, yes," Oliver replied. "Because there's no point in her lying," said Oliver. "Well, there's a point in her not bringing this up for 40 years," Hoffman said. "Oh, Dustin," Oliver said, as he put his head in his hand. Hoffman went on to discuss behavior on movie sets, along with some of the more colorful talk and banter that would often take place between movie crews and actors. Hoffman described how his co-workers were "a family," who sometimes said stupid sexual things, that were meant to be funny. He reminded Oliver and the audience that this was 40 years ago. Oliver said, "It doesn't feel self-reflective in the way that it seems the incident demands. "I get no pleasure from having this conversation because you and I are not the victims here...."
CNN has reached out to Hoffman and Oliver's reps for comment. Oliver's show airs on HBO, which, along with CNN, is owned by Time Warner.